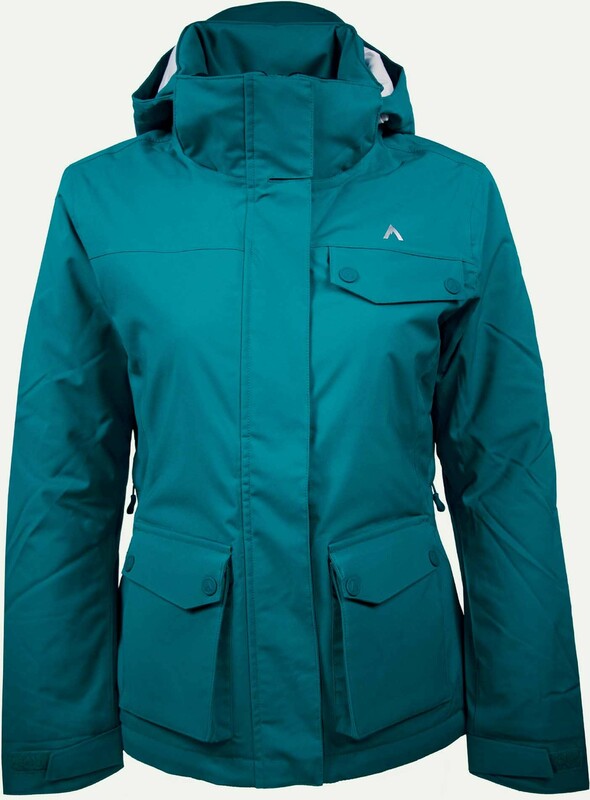 The Terracea Peak CW Jacket was made to keep you toasty warm, and that’s just what it does. On top of fully taped seams, 20k waterproofing, being fully windproof, and having a 35k breathability rating, the Peak CW also comes with eco-friendly down insulation throughout jacket and the hood. The first thing that stood out about the Peak CW was how light it was. The material is very lightweight and maneuverable, and the jacket is extremely comfortable. As soon as you put it on you can feel the warmth it has. It is also very wind resistant, which is huge if you are a storm rider. I love that the hood is insulated and adjustable, and it also fits over helments well. The company suggests on their wesbsite to size up if you are an in-between size. (the jacket I tested was a large) I’d say if you want the jacket for hiking or streetwear then ya heed that advice, but if I was going to be riding in this jacket I would size up regardless. It seemed to run a bit small. But the specs are posted below in the company information, so you can make sure you calculate accordingly. All of Terracea‘s outerwear jackets are compatable with their fleece mid layers. This insulated jacket, along with the fleece would be all you need on those fridged cold days. They make a great combo, and the fleece makes up for the fact that the jacket is a little on the short side. Overall the Peak CW is an awesome cold weather jacket that is very comfortable, has lots of gadget pockets, and should keep you warm and dry on even the coldest storm day. It has fully taped seams, water resistant zippers, and seems to be very well built, so it should hold up for a good long while. We try to get as many images of the Terracea Peak CW, but forgive us if they're not all there.